Profero announces the winning for the pitch for the coordination of the digital communication of the brands Mirinda, Lemon Lemon, Prigat, 7UP and Gatorade in PepsiCo’s portfolio. The agency will handle the strategy and the digital campaigns, but also the social media for promoting the products and projects rolling at the moment. We are glad to have the opportunity of coordinating the digital presence of the brands in PepsiCo’s portfolio. It was an instant chemistry with the client taht resonated with us from the first second, but especially with our proposals. The team functioned integrated and this thing was observed even further in the exposure of the ideas that respected the brief entirely. Therefore, now that we have passed to the next level of the game, we are looking forward to start the implementing stage and then to enjoy the results of the coolest campaigns that will be soon launched,” said Andreea Dinescu, Managing Director Profero. The agency Profero had the winning mix of strategy, creation and innovation in their proposal. They took all the brief’s objectives in the chest, developed a solid strategy starting from the well documented insights, built innovative ideas and creative and coherent declensions, all these leading to the construction of a proposal that convinced us fast. We are sure that together with them we will build strong campaigns in digital for our brands that will bring a serious contribution to the ambitious objectives of the following period of time. PepsiCo’s marketing and communication team was formed of: Laurenţiu Ion (Beverages Digital Manager), Crina Stoian (Jr Digital Specialist), Irina Perju (Digital Analyst), Ioana Ciobotariu (Sr BM), Dragoş Florescu (Jr BM), Emanuela Bădângă (Jr BM). Profero’s team: Marius Rizopol (Senior Art Director), Florian Langa, (Senior Copywriter), Elena Negrescu (Senior Copywriter), Dan Hariga (Art Director), Diana Dalimon (Junior Art Director), Damian Nuñez (Chief Creative Officer), Sabin Dima (Head of Technology), Cristina Moise (Social Media Manager), Alexandra Ion (Social Media Executive) and Ovidiu Popa (Account Director). 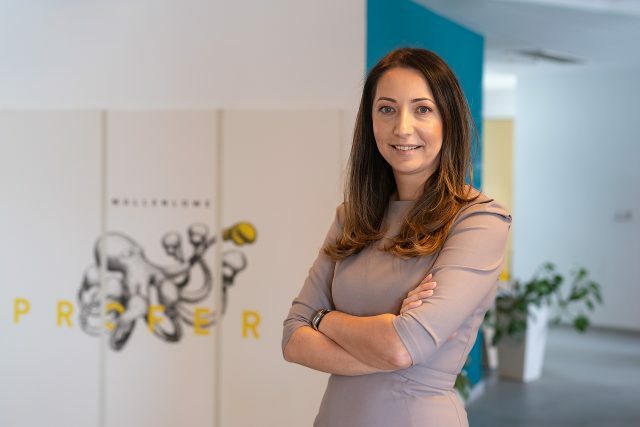 Profero Bucharest, affiliated to the international network MullenLowe Profero, is a digital advertising agency with an experience of over 10 years on the Romanian market, both for local and international brands.